The importance of being healthy and fit is not a new development but seems to definitely be on a strong upward rise with new developments and fitness trackers such as Fitbit. To the naked eye, Voyce is the canine Fitbit, but according to Jeff Noce the developer behind the product, it is much more . 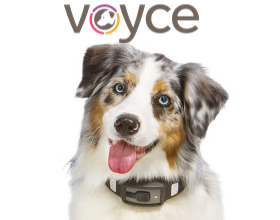 Voyce is a smart collar “that bridges the communication gap between dogs, their owners, and the people who love them”. The Voyce smart collar is equipped with senors that track your canine’s activity and rest levels, calories, heart rate and respiratory rate. That data is collected over Wi-Fi, and then sent to your smartphone or tablet to gain insight into your pet’s health and track trends over time to share with your vet. As Voyce gets to know your dog, you receive customized tips, advice and articles pertaining to your dog to help further your understanding of your pets mental and physical health. Don’t worry social media lovers, Voyce has not forgotten you – Voyce allows you to share everything about your dog, including progress, milestones, and pictures with friends, family, trainers and even your vet with sharing abilities and a community of pet owners like you. The Voyce smart collar is waterproof and can be adjusted to fit dog neck sizes up to a Mastiff. 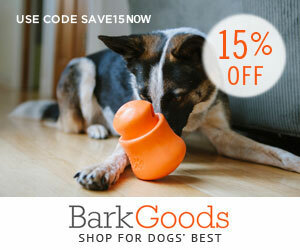 Consumers should expect the product available for pre-sale this spring and available to ship by early summer. For updates, purchasing info and general product info, check out the official Voyce site.